Florent Revest is a French computer science student who has been working on an open source operating system for smartwatches for the last two years. Yesterday, he officially launched version 1 of the alpha for AsteroidOS. The goal for the platform was to create something that gave smartwatch owners more control over their privacy, as well as the hardware they purchased. Florent feels that the current proprietary platforms do not guarantee this, and this was the basis for AsteroidOS. He wanted his open source smartwatch operating system to provide freedom with free software, more privacy than other wearable platforms offer, interoperability so it could communicate with other devices, modularity that enabled the user to tweak and change the OS as they see fit, the ability to port the software to as many devices as possible, and gathering a community who is passionate about the platform. 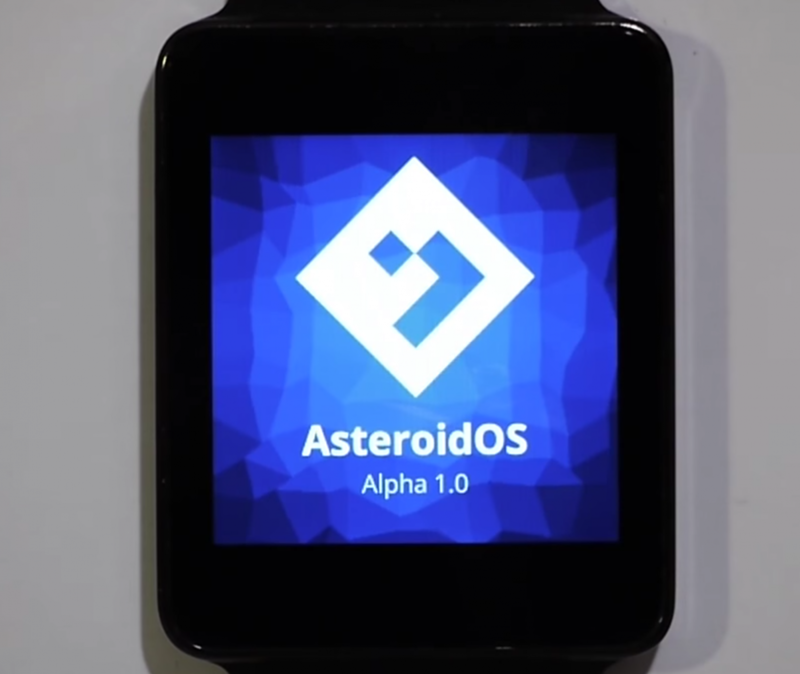 AsteroidOS currently runs on the LG G Watch, LG G Watch Urbane, ASUS ZenWatch 2 and the Sony Smartwatch 3. The LG G Watch is its default development platform, and it provides the best support for the software. The OS does run on the other 3 smartwatches, but not fully. For example, Bluetooth doesn’t work on the G Watch Urbane, ZenWatch 2 or the Smartwatch 3 right now, and there are some graphical glitches with Sony’s smartwatch as well. Florent has even began working with Jolla to come up with a demo that shows their Sailfish technologies running on top of AsteroidOS. It’s unclear how far this partnership will go, but it’s interesting nonetheless. There are some installation instructions up on the AsteroidOS website, you can find the porting status for other smartwatches here, and there are a number of ways you can get involved in the project and the community. Whether it includes becoming a maintainer, developing apps, donating, or becoming a part of the community.